Service is the lifeblood of our church. Your talents are a gift. Find a group you would like to join and contact us. Our purpose is to monitor and maintain the Sanctuary sound system. We also record Sunday services as well as other significant events in CD format and have them available to purchase through the Book Store. We also post the Sunday meditation and lesson to this website. 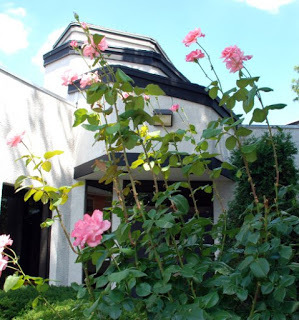 Our Ministry supports the environment of Unity Church of Greater Rochester by maintaining conditions and standards of beauty and order in our physical environment. This ministry cares for our interior building and the gardens and grounds. Volunteers adopt gardens to plant, weed and tend. Clean-up days are scheduled to address raking, trimming, and general grounds maintenance. The chairperson also manages our hired groundskeeper, who mows and shovels snow. 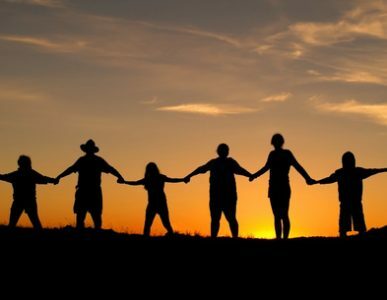 We offer books and materials that reflect Unity’s teachings and principles. Also available for sale are The Daily Word, Unity Magazine and other New Thought journals. The Bylaws committee is an adhoc committee whose mission is to review the bylaws and propose changes to the Board of Trustees and membership as needed but at least once every five years. Once changes are presented and voted on by the membership, the adhoc committee will no longer exist, until such time the Board of Trustees determines that changes are warranted, at which point the Bylaws committee will be reactivated. We make sure the information in the directory is kept current and requests for name tags are fulfilled on a regular basis. Our photographer captures the beautiful moments of our church so that others may experience with their eyes what is felt in the heart. The Financial Prosperity Ministry clarifies, teaches and implements financial stewardship practices that support the enfoldment of Unity Church of Greater Rochester as a divinely prosperous center inspiring human transformation. The group meets monthly to develop the annual budget, investigate and develop our financial practices, explore fundraising, etc. 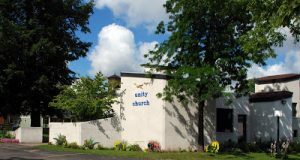 Volunteers welcome and provide hospitality and directions to all who enter Unity Church of Greater Rochester. We offer a warm smile and warm hug or handshake. We answer questions and, when there are new people, we have them put their names and contact information in the registration book and give them a name tag so others can address them by name. We help them find their way around and answer questions about Unity and our church. The Historian maintains records of our church so that future generations may enjoy, be inspired by and learn from the legacy of Unity in Rochester. The historian also works with the church photographer to amplify printed sources with photos of church events. Our library provides materials on Unity, New Thought and New Age philosophy and history for free circulation. Church members may sign out materials and are asked to return them in a timely fashion. Unity book donations to the library are welcome. Our mission is to bring spiritually uplifting music to the congregation. The church has a song leader who joyfully leads the congregation in hymns. Music resounds in the souls of us all. Our goal is to communicate with our membership and friends the joy, happenings, inspiration, and teachings of our church. 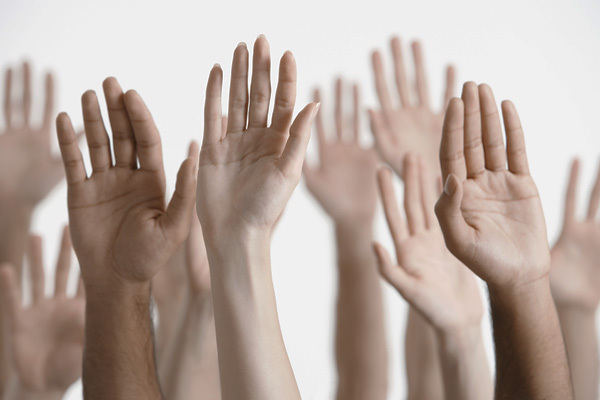 A Nominating Committee initiates a search for at least two qualified candidates for the Board of Trustees. The committee consists of the minister, three active members selected at the annual meeting by the membership, and a representative of the current Board of Trustees. The assistant serves the congregation at Sunday service by providing concise announcements regarding church activities in an inviting and connected manner. The Ministry ensures that all facets of the church are nurtured and implemented with clarity, consistency, understanding and love. Our Prayer Chaplains visit members in their homes, hospitals, or other settings to provide prayer and spiritual support. Chaplains must receive extensive training. Awakening to the Christ within ourselves through prayer, we affirm the divine identity in others so they can see it in themselves and receive its blessings. Volunteers are available each Sunday after the service to provide one-on-one prayer. The team meets regularly to pray and plan activities that support the prayer life and spiritual wellbeing of the congregation. The Ministry seeks to reach out to the community and publicize our church teachings, activities, and events. The Remembrance Ministry contributes to creating a nurturing environment at Unity Church of Greater Rochester by reaching out with expressions of love and support to our congregation in times of joys and challenges. The Ministry meets as needed to plan and implement initiatives to meet the needs of our home-bound members as well as general congregation. Our purpose is to change the message on the sign in the parking lot each week as an effective way to communicate with passersby. Weekly changing of the message causes more people to look at our sign each week. We are looking for messages that serve to awaken people to their divine identity. The committee plans and implements social events, involving set-up, food preparation and serving. Love offerings from the congregation for refreshments supplement the church’s budget for the Social Fund, which helps to pay for large events such as our Thanksgiving dinner and summer picnic. The Social Committee organizes a number of holiday events each year and assists with occasional luncheons between Sunday service and Congregational meetings or special events. The purpose of the Social Media Ministry is to: (1) Shine the light of Unity and Unity Church of Greater Rochester as far as possible in the world; and (2) Foster communication among members in their personal spiritual journies. Counters oversee the inflow of love and prosperity that our church brings forth when we gather as one. Our counters work in pairs. On the display table in the lobby there are folders where you may sign up to read the Daily Word during our Sunday services, or to provide flowers for the sanctuary. We welcome more people in these roles. Ushers provide a welcoming and facilitating presence during worship and special services. The ushers are to make sure the sanctuary is warm and welcoming looking. The lights are adjusted during the meditation. They welcome congregants as they come into the sanctuary with a warm smile and perhaps a hug as they present them with a bulletin. They take up the Sunday offering at the end of the service. Most importantly, the ushers are part of a team with the greeters to welcome people to a spiritual experience at Unity Church of Greater Rochester. Volunteers are trained and work in pairs. They are scheduled through a coordinator. 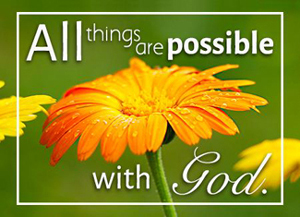 Members working with the website greet all those who seek out our church on the Internet with information about us and what we stand for to provide resources such as audio files of our Sunday messages, prayers and related links. The mission of the Welcoming Ministry is to reach out to visitors and new congregants, offering a warm welcome to our services, facilitating the growth of relationships and offering the opportunity for deepening involvement in church life. The Welcoming Ministry works in concert with the ministers and other church volunteer ministries, including Greeters, Ushers, Platform Assistants, Publicity, etc. Our education program provides a caring, nurturing, friendly, welcoming environment for children of all ages and teens. Vetted volunteers help our youth develop by teaching Unity principles and curriculum through prayer and the arts: story, drama, puppets, and visual arts. Help teens grow through discussion and study with peers. Volunteers assist our ministry leader in the Sunday School on an as needed basis.